The Board of School Trustees and the Penn-Harris-Madison administration take bullying seriously. The school district has put in place the tools, training and guidelines to help staff recognize and respond to bullying when it occurs. 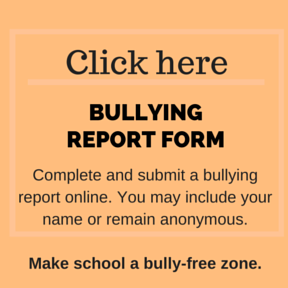 Staff members are required to report all instances of suspected bullying. We also engage our students in the discussion. We want them to fully understand why bullying is a problem—and that we expect them to be part of the solution. Well-informed parents can also be part of the solution. The resources below will help. Student Code of Conduct – These standards of student behavior are an expectation for every P-H-M student. See pages 3 & 4. Bullying: What to know & do – This parent resource webpage helps define What is bullying?